The American Academy of Hospitality Sciences (AAHS) awarded the Addison of Boca Raton its coveted Five Star Diamond Award, recognizing the venue for its achievement and quality in the hospitality and luxury service industry. This is the sixth consecutive year the Addison has received this rare distinction. AAHS is renowned worldwide for awarding excellence in the global travel and luxury services sector. Each year the academy bestows its coveted awards on five and six-star quality hotels, spas, golf courses, restaurants and chefs. This award is a prestigious emblem of achievement, recognizing true quality in the hospitality and luxury service industries worldwide. Evaluations are based on exceptional service, superb facilities, ambiance, attitude, gastronomy, cleanliness and above all, hospitality. The award was presented at an exclusive gala at the Addison on the evening of Wednesday, March 21. The event showcased a six-course dinner prepared by Executive Chef Patrick Duffy, wine and cocktail pairing sponsored by Southern Glazer’s Wine & Spirits, extravagant décor by Daniel Events, and live entertainment by Celebrity Entertainment. It was attended by many prominent community figures, including Mayor Susan Haynie and the Boca Raton council members, Mary Csar of the Boca Raton Historical Society, and several board members from the Junior League of Boca Raton. 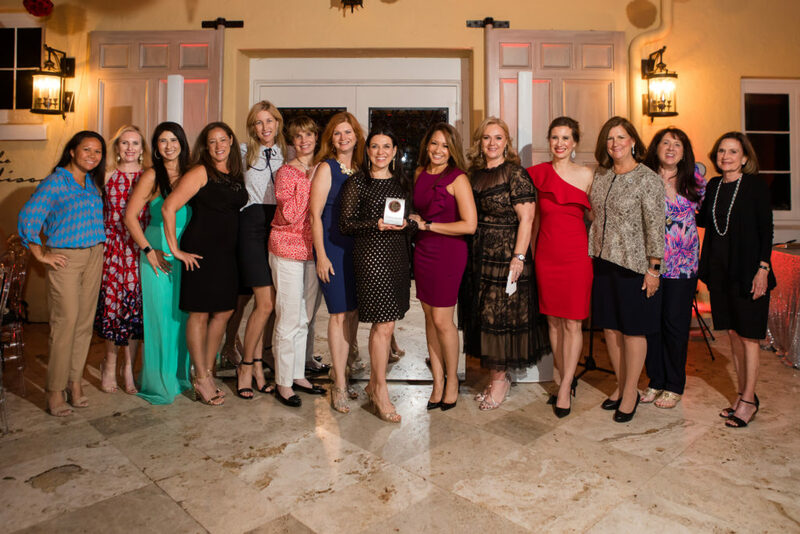 Also recognized by AAHS at the dinner were President of Daniel Events Benny Ofer, for his charitable good works, partnership, and excellence in event décor, and non-profit organization The Junior League of Boca Raton, for their commitment to the community and excellence in leadership.